I spent a lovely morning yesterday moving my narrowboat, we only went a couple of miles and two locks, but in the beautiful bright sunshine it was great. I moored just above a live aboard boat, and the owner immediately came and offered to help me moor up, he was sat on the towpath having a beer and listening to his music, enjoying the sun as well. I told the chap, who introduced himself as Jason, that I’d be away from the boat for a week and he said “not to worry, I’ll keep an eye on her”we even exchanged phone numbers, just in case. This is typical of the attitude of boaters, we’re all just people doing what we do, and looking out for each other as we do it! The community spirit of the waterways is something that I have always loved, and it’s something that we seem to have lost from our on-shore lives. At home in High Wycombe we are on hello and good morning terms with our neighbours, but no more than that. It’s not that we, or they, are unfriendly, but we just don’t see each other regularly, and we’re always busy etc etc. When I was a kid in the seventies we were always out playing either on the street or in neighbours houses, we would disappear on our bikes for hours on end, we could go anywhere. This is not an option for our boys these days for several reasons, firstly, there is so much more traffic around these days that we would be permanently worried about them. Secondly, there seems to be more bad people around now who could take advantage of kids in some way (maybe there’s not more, but just more awareness of the ones that are around) and thirdly, there’s no network of known adults for them to go to if they need to, we could always go to a neighbour or someone across the road, or someone on the street would know us, and we could go to them (or be told off by them!) we don’t have this these days. I know a few people bringing up children on boats, and their kids seem to have this old-fashioned style of upbringing, they do know their neighbours, and get used to having new neighbours around on a regular basis. They have to learn to be careful around the canals and rivers, and as many boats have little indoor space they get to spend a lot more time outdoors. I wish we could have more communities of boats around the country where people could live their lives and bring up their children in this way, and I don’t see why we can’t. I’ve mentioned in an earlier blog about my experiences when living at Ladbroke Grove, and how the area became a lively, fun and safe space after a community of boats was built up. 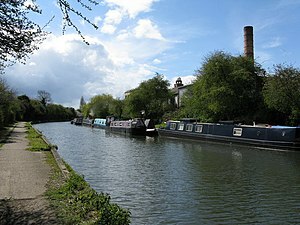 There are many more areas of London, and many other cities, that have canals and rivers running through them, if these were made available to boaters for long-term mooring the benefits to entire areas would be huge. The cost of buying a boat is much more affordable for low-income families and younger people, you can get a perfectly serviceable boat for £20-30,000, or a great one for a bit more, marine mortgages are also available, so for a reasonable cost a family can have a home in the city. The beauty of allowing more boats is that not much infrastructure is needed, as much of what is needed is already there, the self-sufficient nature of live aboard boats lends itself perfectly to low impact development, sustainable livingand all the other things that politicians rave about nowadays. Another good reason for allowing more moorings is the social impact on an area, canals usually run through poorer areas, and underprivileged parts of cities where canals are seen as dumping grounds or areas for down and outs and junkies. I’ve seen the changes that a few boats can bring, the rejuvenation of an area just by the presence of more people has to be a good thing, and making towpaths safer for people will only encourage more people to use them. 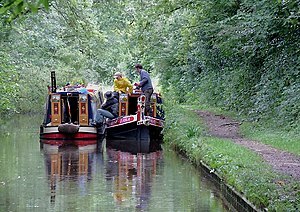 Most boaters have no use (or space) for a car, meaning that they shop more locally, a definite benefit to local shops, also there has been a resurgence of working boats on the canals, many of whom make a living selling coal, logs, gas bottles and diesel, these businesses would definitely benefit. I hope that I don’t sound like some right on old hippie, I’m really not! (though Sarah may disagree) My boat was modern and convenient, I had a good electrical system that allowed me to run a big stereo, tv, dvd, toaster and all other usual household appliances. The advent of reasonably priced solar panels, and a decent sized bank of batteries meant that I never ran out of electricity, also I had a generator which I could always run that if I needed to. Obviously, there are some compromises to living on a boat, you need to fill your water tank and empty your loo tank, but a visit to a water and waste point is no hardship, and it’s a bit of an adventure for the kids! My blog “There’s Lots Of Life Afloat” explains my thoughts on shopping by boat! (it’s great!) So, I think that a life afloat is great for kids, affordable for low-income families and younger people, and may even be environmentally beneficial. It could help to re-generate unsafe run down areas at a very low-cost, help local small businesses as well as canal businesses, it could even help to relieve inner city housing shortages by getting more people out of the housing system (councils could help with costs maybe? therefore removing people from their housing lists) I really can’t see a downside to allowing or promoting more moorings in our cities, but no doubt the politicians and waterways authorities could give me plenty. sounds perfect, can’t wait to get one of our own. BTW loving the new look, fresh and clean, certainly is!! Thanks, it’s a wonderful way to live! Now you make me envious. I wish I cold hop on a plane, go to Britain and then be on a narrowboat. There’s so much to explore. 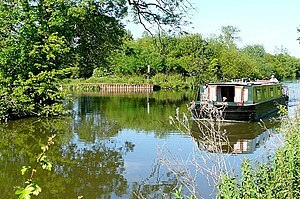 It is a glorious life living on a narrowboat, I wish more people could try it! Thanks for your comment. « All You Have To Do Is Sell it …….